How do I participate in the lucky draw? 2) Winners will be contacted and the prizes will be given out at the MARQUEE, 21 Church Street on a Manchester United game night. 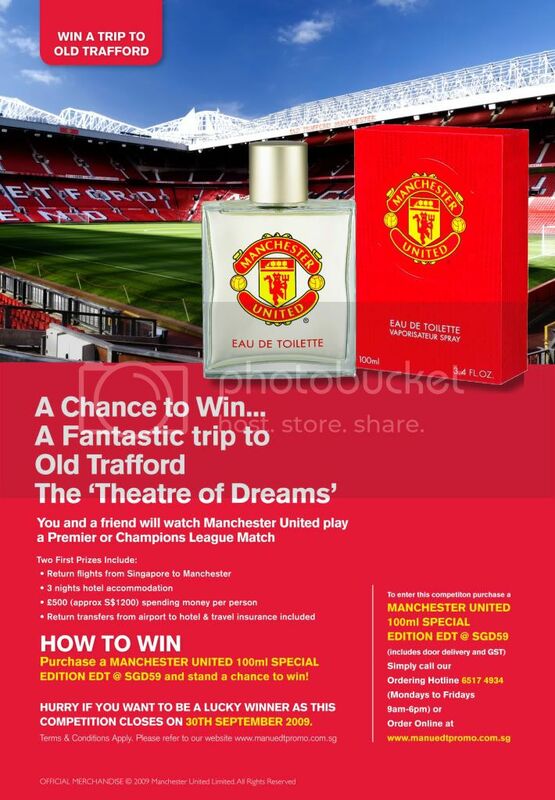 3) All Manutdsg members who have already purchased the fragrance are also entitled to enter the exclusive draw. Hi Bro..any idea if they have anymore of this perfume still on sale? Got one fr myself n lurve it! Thought of getting another one..Any bros selling theirs?? (11-30-2009, 07:22 AM)Keano16 Wrote: Hi Bro..any idea if they have anymore of this perfume still on sale? Got one fr myself n lurve it! Thought of getting another one..Any bros selling theirs? ?